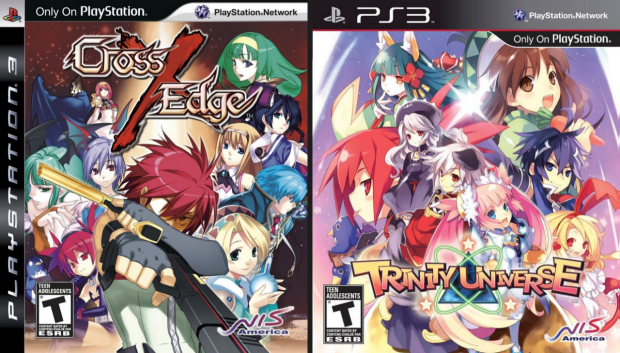 Sony has, for some reason, decided to change the box art on PlayStation 3 games again right at the end of the console's life. That's classic Sony, right there. I'm not OCD, but I do like things to look consistent on my shelf. This is one of the reasons why I don't buy Greatest Hits games or their equivalent on other systems. I like the spines of my games on the shelf to look the same all the way across. I like when TV seasons I buy on DVD or Blu-ray have a uniform look when they're all sitting side by side. I like consistency. 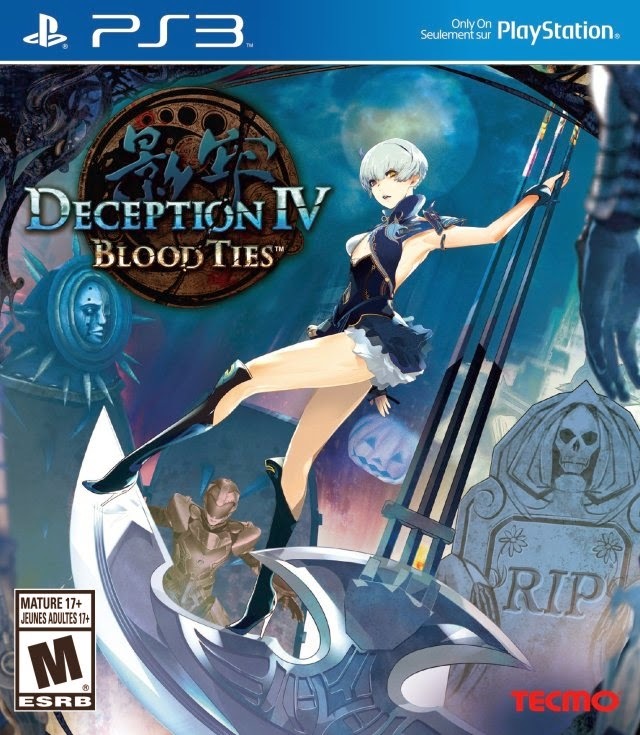 With the release of Deception 4: Blood Ties on March 25th, Sony has added another type of box art to their lineup. Huh? This is the second time Sony has changed the box art on PlayStation 3 games, the first being with the release of Uncharted 2: Among Thieves on October 13th, 2009. When the box art was changed for the first time, it was met online with a lot of people upset with the change. Seems I'm not the only person who likes consistency in designs! I wasn't affected by the change at the time because I hadn't bought a PlayStation 3 yet, but now seeing the mishmash of designs on my shelf irks me a bit. I know Sony did it to unify the box designs, but it seems a bit late to do that to the PlayStation 3. Additionally, with PlayStation 3 games not being backwards compatible on PlayStation 4, it creates a breeding ground for uninformed consumers to accidentally buy the wrong game for the system they own. As someone that works in retail, I can assure you this will happen. I've seen people buy Vita games thinking they're PlayStation 3 games. No joke. This is just a headache waiting to happen. I do not believe, however, that this change will confuse people in the same way people still can't seem to get the difference between the Wii and the Wii U. Partially because I think Wii/Wii U users are significantly dumber than PlayStation/Xbox users. Yeah. I said it. I suppose I should have seen this coming, as this is not the first time Sony has done this. In fact, on every one of their systems save Vita and PlayStation 4 (at least for now) they have changed some aspect of the packaging at least once throughout the lifespan of the system. The most famous examples of this are the three different versions of long box original PlayStation games before moving on to standard CD jewel cases. Even PlayStation 2 games had at least three changes to their case design, but you have to physically open them up to see them. This is not exclusively a Sony thing, though. Microsoft changed the box art design for Xbox 360 games at one point, too. The difference with them is that the change isn't as in your face as when Sony does it. Typically, when Sony does a redesign, they drastically alter the look of the game's spine. 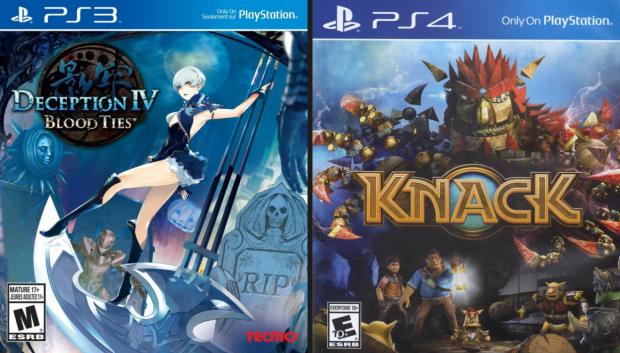 On a shelf or in a pile, Sony games that have gone through a redesign are very noticeable. With 360, the changes to the design aren't as apparent on a shelf unless you're right up on it or if you remove it and look at. At the end of the day, this is a non-issue. I'll get over it like I got over it when they changed it the first time. I think the original design for PlayStation 3 games was pretty bad, to tell you the truth. I felt the initial change they made to the design was very good. Changing the PS3 logo bar at the top of the art to blue, though... I don't know. I think the thing that bugs me the most is that they changed the design so late in the console's lifespan for reasons I don't necessarily agree with.